The world’s first autonomous, zero-emissions container ship is set to embark on its maiden voyage in 2018, delivering goods between Norwegian towns. The vessel is currently being developed by chemical experts Yara and aerospace company Kongsberg. 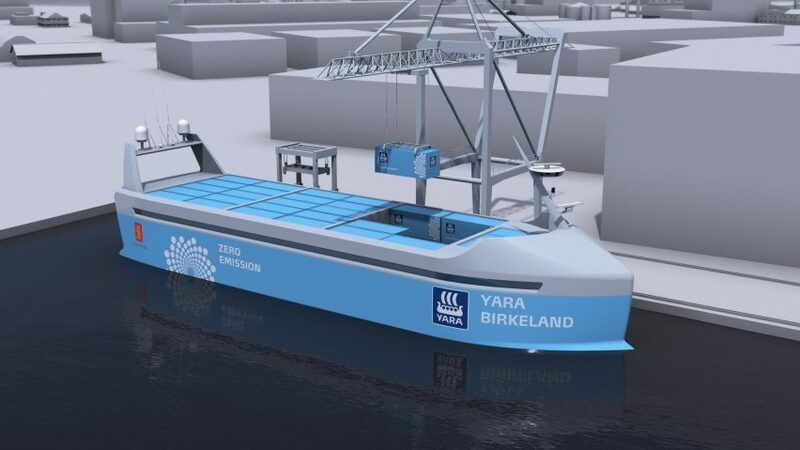 In a blog post published on the Kongsberg website in May, the company revealed that self-driving ship will make its debut in the latter half of 2018 – transporting fertiliser from Yara’s plant in Porsgrunn to ports in Brevik and Larvik. However, for this journey it will operate as a manned vessel. It is expected to move onto remote operation by 2019, and should be carrying out fully autonomous operations from 2020. Both companies believe the electric-powered ship, which is used to transport large cargo containers, could be a “game changer” in the industry in terms of meeting sustainability goals set out by the United Nations organisation (UN). “Every day, more than 100 diesel truck journeys are needed to transport products from Yara’s Porsgrunn plant to ports in Brevik and Larvik where we ship products to customers around the world,” said Svein Tore Holsether, president and CEO of Yara. Kongsberg president Geir Håøy thinks the ship – named Yara Birkeland – could encourage other companies to consider seaborne transportation as opposed to road when shipping goods. 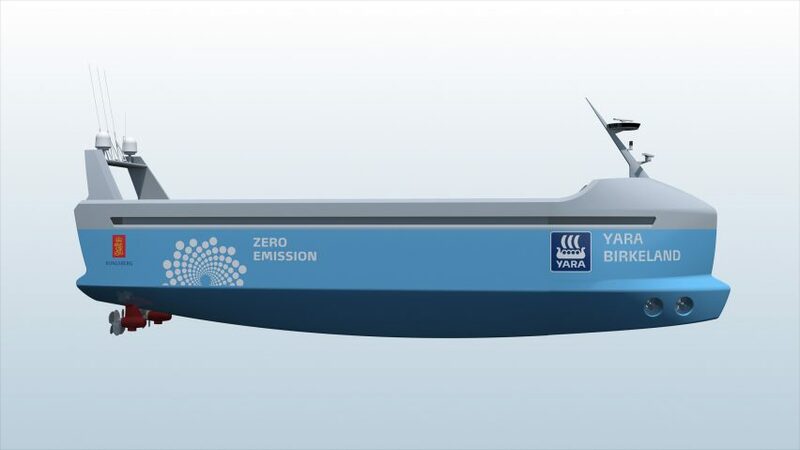 As with other self-navigating vehicles, the Yara Birkeland will make use of GPS, radar, cameras, and sensors to move around and dock on its own. According to the Wall Street Journal, the boat will cost around $25 million – approximately three times as much as a standard container ship of the same size. But money will be saved in operating costs, which could be cut by up to 90 per cent, as there would be need for fuel or crew. Although Yara and Kongsberg claim the ship to be the “world’s first”, it comes soon after engineering company Rolls-Royce revealed its concept designs for an autonomous ship that could be managed remotely from a control centre. 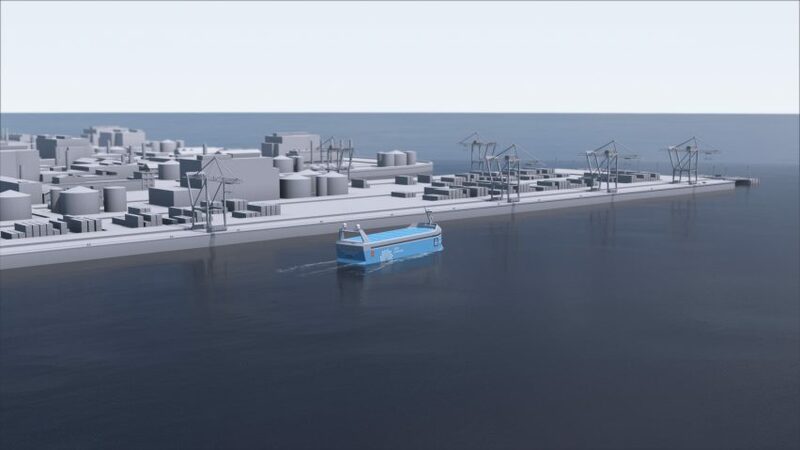 At the time, Mikael Makinen – president of Rolls-Royce’s marine division – said that “autonomous shipping is the future of the maritime industry”. “As disruptive as the smartphone, the smart ship will revolutionise the landscape of ship design and operations,” he said in a white paper published by the company. Be the first to comment on "World’s first autonomous cargo ship to set sail in 2018"